Folks, this is it! This is one of those must-have garden tools. I do not know how I have been gardening for this long without a broadfork. I’m not a gadget hound, nor am I earning a commission on this product plug. 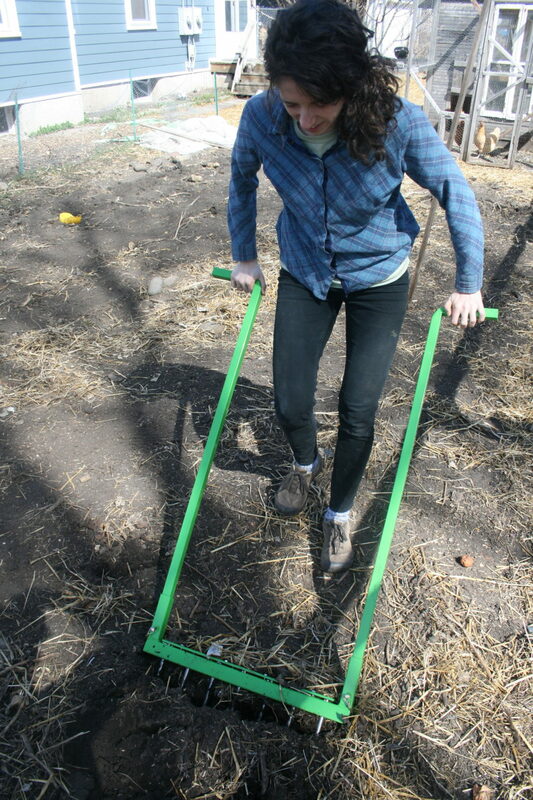 I’m just really excited at how fast and less back-breaking this broadfork has made prepping our garden beds for sowing seeds! What’s the purpose of a broadfork tool? 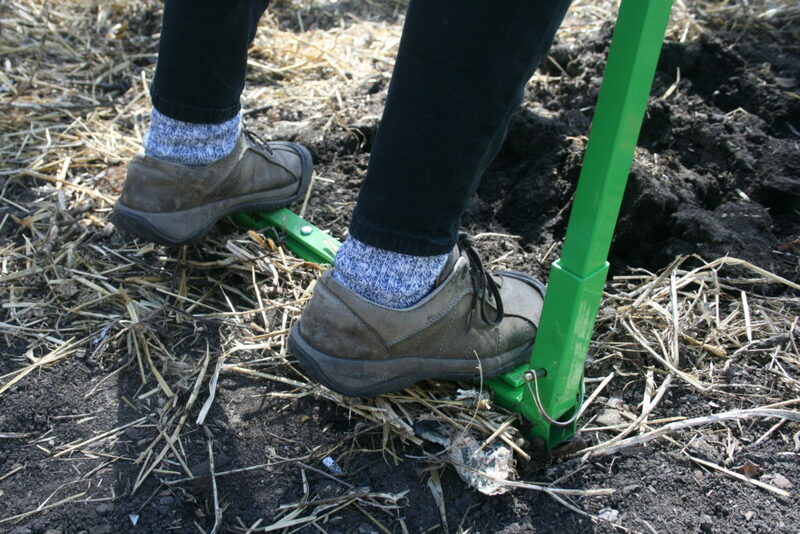 The broadfork essentially replaces a tiller or a shovel in growing systems that utilize no-till practices. Don’t know what no-till gardening is? I assure you, it’s a good thing, and something you can do too, so stick with me! 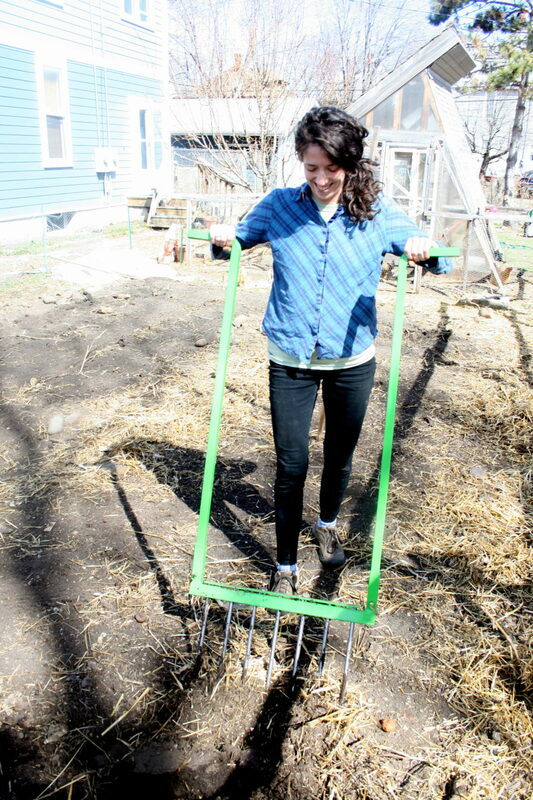 In a no-till garden, this tool assists in loosening the soil to prepare beds for planting while keeping the soil layers in tact and protecting the important microbial, fungal, worm and bug life within the various layers of soil. All of those living things are very beneficial to our plant roots and to maintaining a rich growing medium. The work of tillers and shovels mixes the soil layers together (not good), creates a significant set-back to the living things that were building up there (not good), and potentially causes soil compaction (not good). No-till gardening is new to me. It seems I have been practicing a hybrid system of sorts. 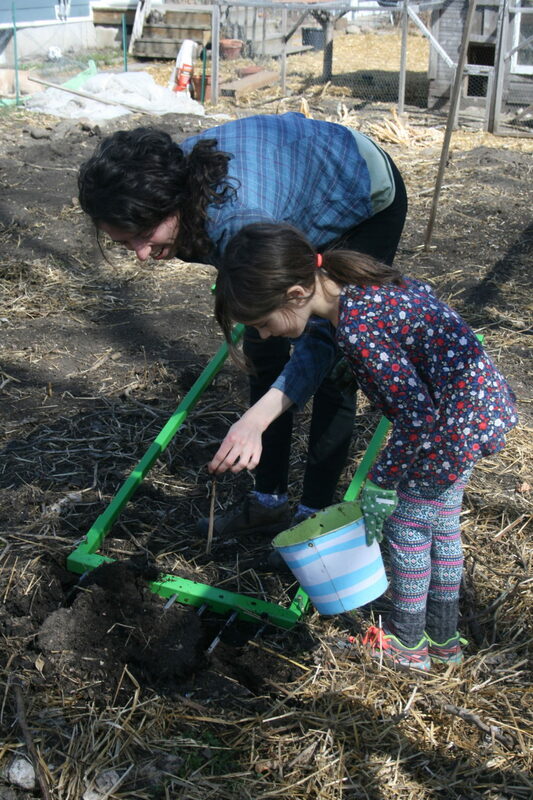 I intuitively followed many aspects of no-till gardening, except for the fact that every Spring, I was turning over all of my garden beds by hand with a shovel. I thought I was digging in compost, getting out weeds and loosening the soil for the plant roots. I also thought it was a good thing to get my top inch of soil hummus deeper down to where it was rocky and sandy. Alas, we learn. It often comes back to the fact that nature knows what she is doing. Don’t mess. I just hadn’t thought about microbes and fungus, to be honest. We started out here with incredibly sandy soil and a massive amount of rocks. each. removed. by. hand. 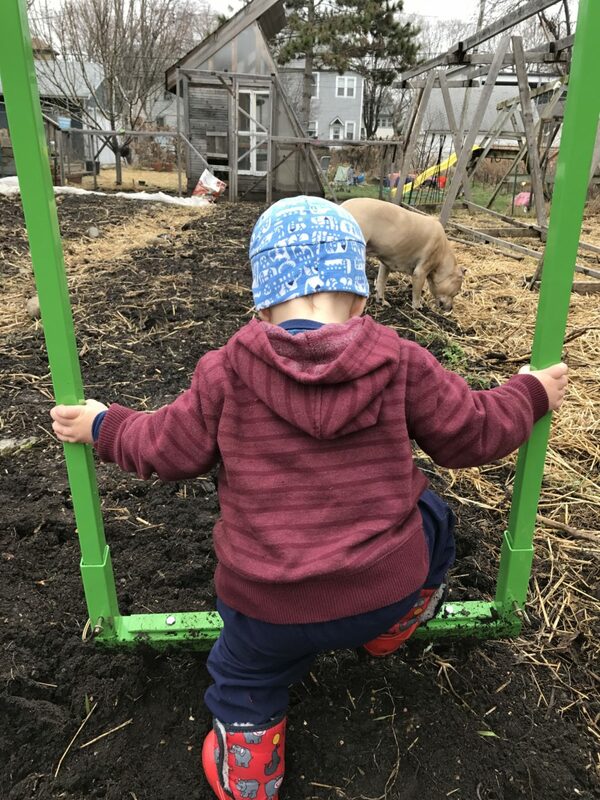 Every year that I worked to build quality soil, all I thought about was compost, manure, rocks, compost, manure, rocks… Well, there’s a lot more going on down in the foot of ground beneath me. I’m so thankful for learning more about soil health, and am excited for this new approach, much aided by my new broadfork. 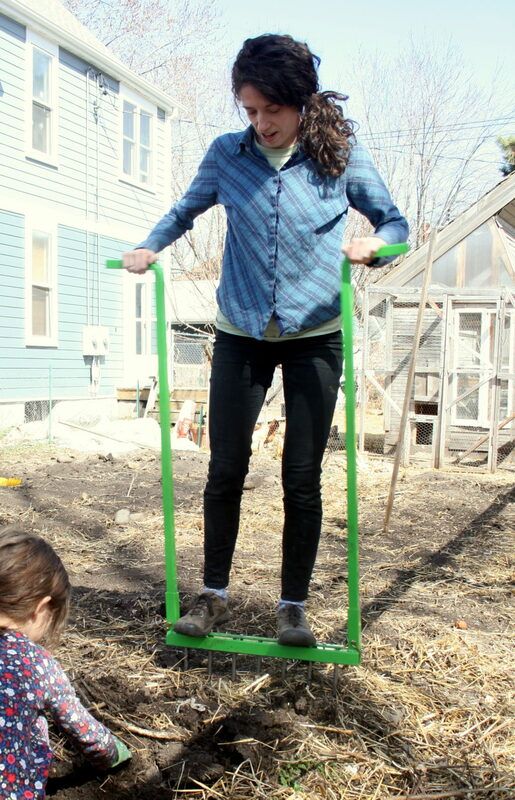 Check out this easy tool and search one out for your garden beds, whether you’re tending existing beds or chopping into the earth to start new ones. 1. Start by putting the tines in your garden bed so that you will be working backwards, loosening up the soil where you once stood. 2. 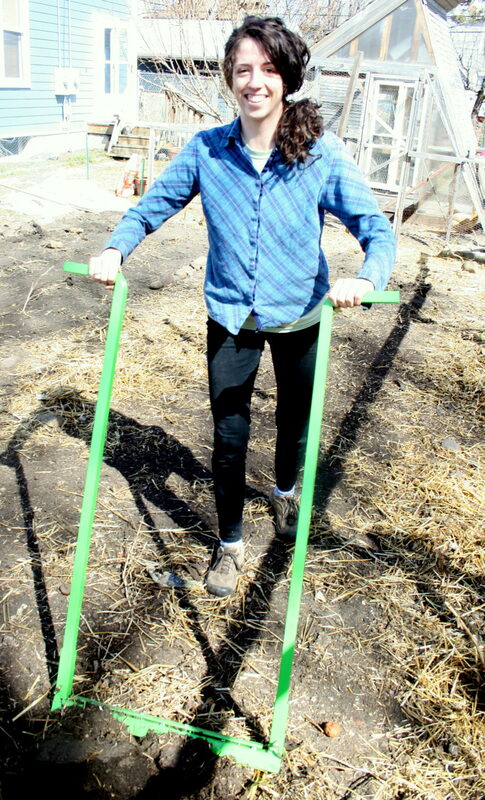 Hop up on the broad fork, forcing the tines into the ground with the weight of your body. 3. Give it a wiggle and a shimmy to get the tines all the way underground. 4. 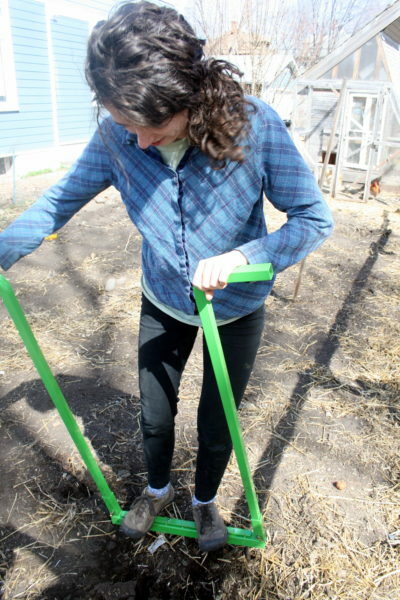 Step off and pull back on the handles to loosen the soil up. 5. Pause to catch a worm for the chickens, if you’re so inclined. 6. Take a pace backwards and do it all again. 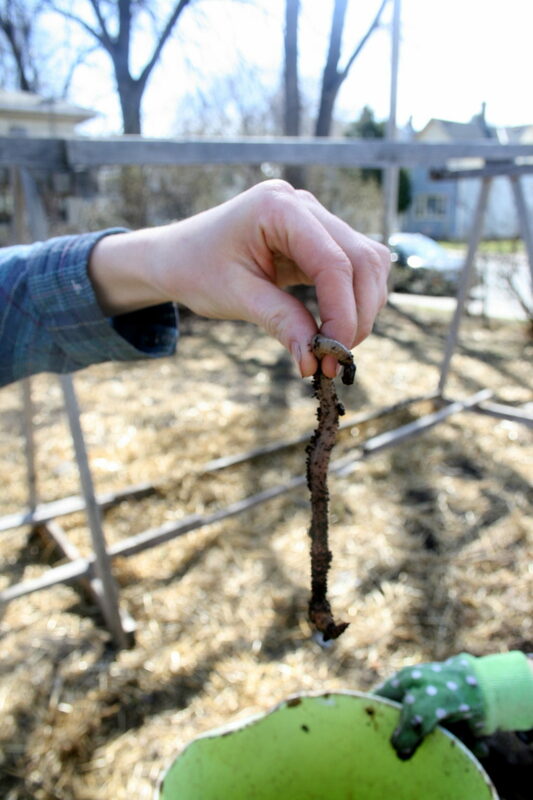 Cheers to super healthy and super wormy garden soil for all! There are tons of broadforks out there. I link to this one because it is the one my parents gifted me. I’ve been super happy with it. It assembled so very easily, is adjustable in many ways and is light enough that I’m easily able to cover lots of garden with it. Plus, it’s made in the USA!